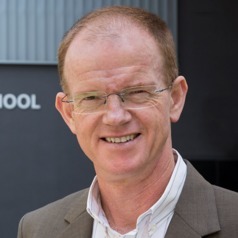 Ross Guest is a Professor of Economics, and Dean (Learning and Teaching), in the Griffith Business School at Griffith University. He is an Adjunct Professor with the Australia and New Zealand School of Government (ANZSOG) and a National Senior Teaching Fellow with the Australian Government Office for Learning and Teaching. Before joining Griffith University in 1998 he spent 8 years at Monash University in Melbourne where he was appointed Senior Lecturer in 1997. He has a Ph.D in Economics from the University of Melbourne and a Master of Higher Education from Griffith University. His current research program is concerned mainly with the economics of population ageing in Australia and other regions of the world. He has published articles on this and related topics in, for example, the Journal of Population Economics, the Journal of Macroeconomics, The Economic Record, The Review of Development Economics, The Journal of Policy Modelling, Oxford Economic Papers, The Singapore Economic Review, The Journal of Asian Economics, and Economic Modelling. He has received 4 ‘Discovery Grants’ from the Australian Research Council, as 1st Chief Investigator, to support this work. He was an invited participant at the Prime Minister’s 2020 Summit in 2008 on the basis of his work on population economics. He is Editor-In-Chief of the International Review of Economics Education, and co-author with Stiglitz et al. of Principles of Economics, First Australian Edition.